The dining room isn't just for eating. It's the meeting place of the home and the host of our fondest memories and celebrations. Our unique demands on the dining room as both an everyday space and a place for elegant entertainment make it a difficult space to plan and decorate. 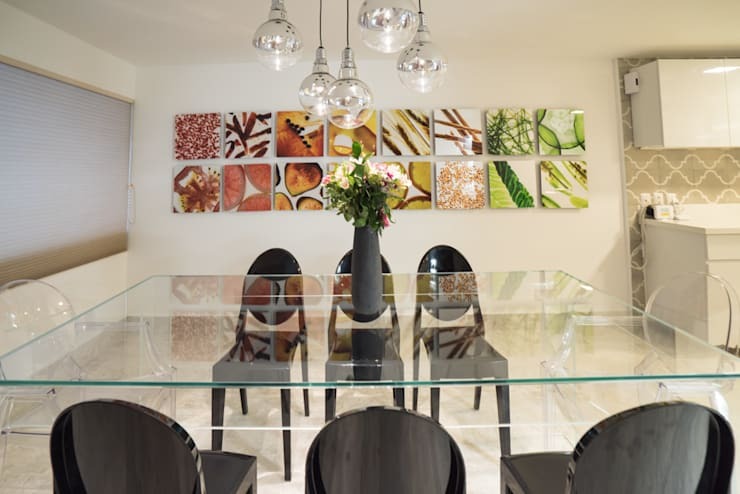 Let's walk through some essentials of designing the modern dining room for comfort and style. In our search for style we sometimes lose sight of the need for our dining rooms to be comfortable areas for everyday eating. If you choose stylish chairs that neglect comfort you'll be unhappy with your room. 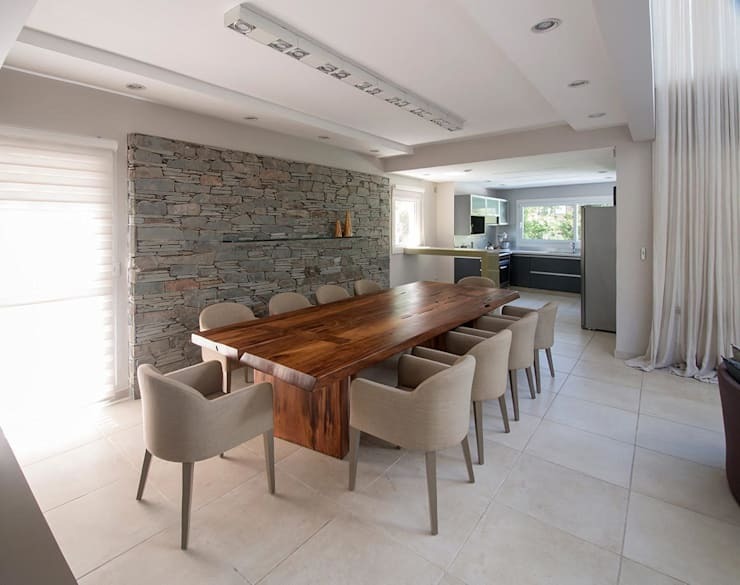 Consider these deep and soft chairs as model dining room furniture. Also, make sure your dining area has elements of warmth. Even amidst rough stone and cool concrete this room uses deep warm wood, flashes of cream on the stone, and wooden vases to emphasize that warmth. It's important not to crowd a dining room. If your chairs and/or tables are too large for your space it will be hard to feel comfortable and to maneuver in the room. Even if you have a very small space you can still create distinct and elegant style, as this small dining room does. If you have a dining room that is separate from the kitchen, but right nearby, you're probably looking to make the two spaces feel distinct. 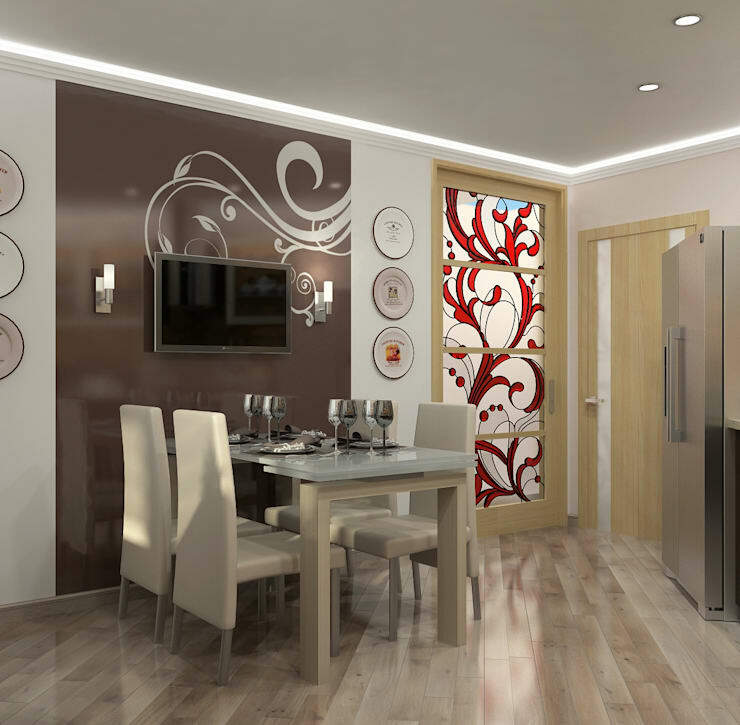 A few key ways to achieve this are to use different flooring, different wall colour, and separate styled furniture. If you're not up to changing the flooring, you can just lay down a rug beneath the dining room. As long as you're not trying to achieve a minimalist style, flatware and cutlery can be key decorative elements. Whether you want to hang decorative plates on the wall, or keep the table set at all times, the style of dishes you choose will have a big impact on the room. It might come as a surprise to you, but interior decorators can give you advice on table settings too. 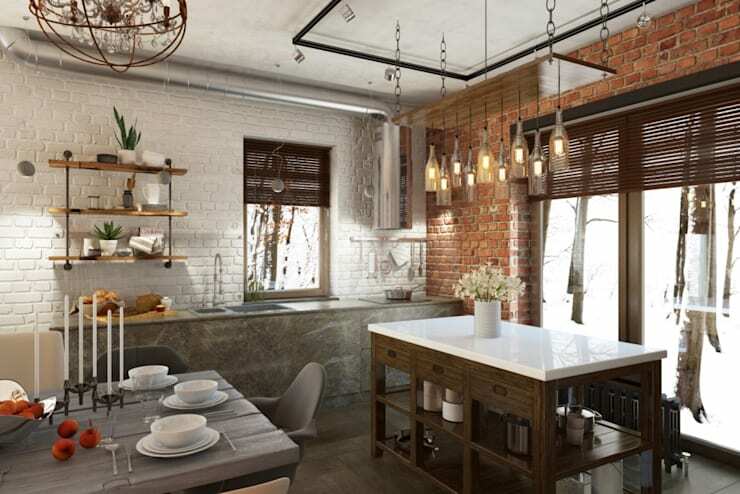 Your choice of lighting can make a big impact in your dining room. In fact, traditionally the lighting was the focus of the room, that's why you see so many massive and elegant chandeliers in classic dining rooms. You can bring your lighting into more contemporary styles, like this elegant globe, while getting the same large and dramatic effect. Of course, you don't have to stick to the tradition of making the lighting the biggest feature in the room. 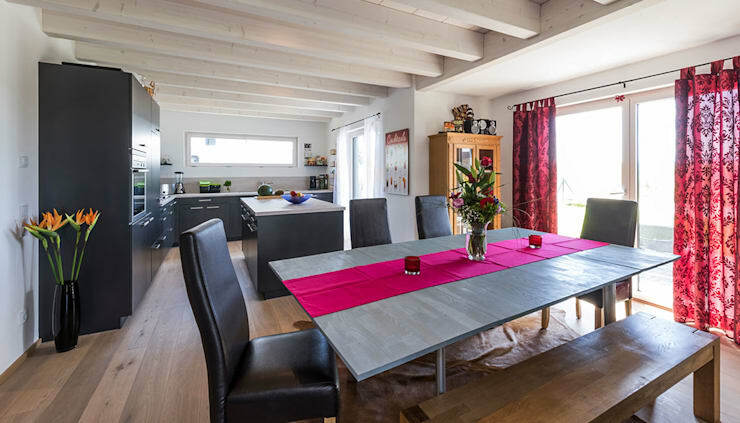 A good alternative is the dining table, which can come in a variety of styles, or be covered with a dramatic table cloth or runner, or even come in unusual shapes. 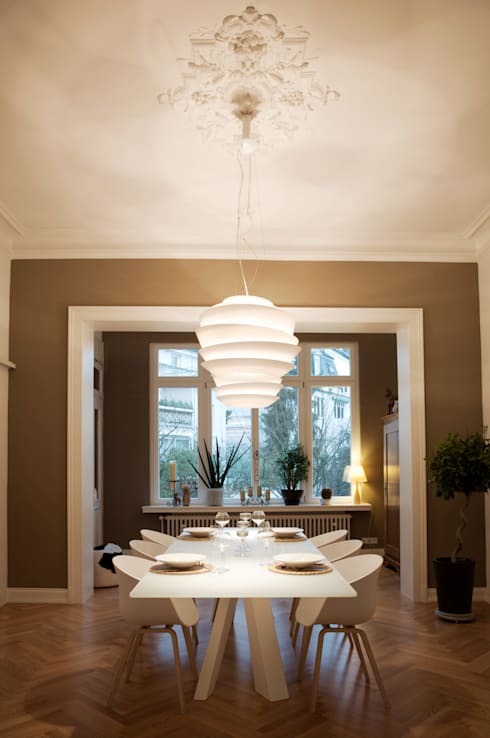 Check out our dining room gallery to see some creative dining table designs. If you want to experiment with bold colours in the dining room we suggest that you pick out a fresh, vibrant colour that reminds guests of the fresh produce you serve or the decadent desserts you enjoy together. Prefer to use white? Look through our guide to using white in your home for the best tips. 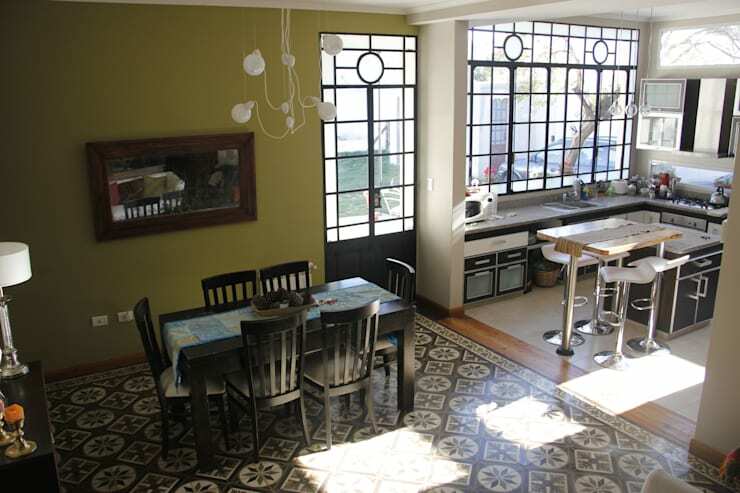 Which of these dining rooms was your favourite?